More than 200 students have voted against forming a new Jewish society, raising fears of anti-semitism. Some students said they were against society proposals to “explore zionism” and celebrate the Israeli national day. The university is also investigating claims anti-semitic material was posted from a lecturer’s Facebook account. More than 600 people voted on the ratification of the society in total – with about 64% in favour. The union, which has other religious societies, said on Thursday the vote had been declared void due to an “irregularity” and would be rerun. A spokesman for UJS said: “We are deeply disappointed by the significant proportion of students who have voted against the establishment of a Jewish society at the University of Essex. Jewish societies, of which over 60 exist on UK campuses up and down the country, provide a space for Jewish students to celebrate their culture and identity. Recently ratified societies include Pokemon Go and K-Pop. However, some students have said they did not object to the society in principle but to its proposals to promote the Israeli national day and explore Zionism, which they argue are political rather than religious topics. The UJS also raised concerns about Facebook posts claimed to have been from the account of computer science lecturer Dr Maaruf Ali which allegedly included “the Zionists next want to create a society here at our university”. Posts also appeared to have been shared from the account which appeared to deny the Holocaust. The posts, which the BBC has seen, have since been deleted. Dr Ali directed the BBC’s requests for comment to the university. 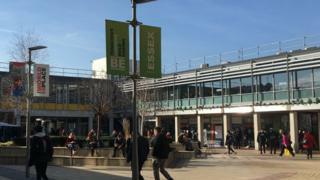 The Colchester-based University of Essex, which has more than 15,000 students in total, said it would not comment on individual cases but had a zero-tolerance policy towards acts of hate or harassment. A spokeswoman said: “Alongside our commitment to freedom of speech, we also have clear guidelines for student and staff conduct and we have zero tolerance towards harassment or hate crime and will always take appropriate and proportionate action. A student union spokesman said they welcomed the establishment of a Jewish Society. He added: “As a union we reject any form of hate speech and we are taking all reports of anti-semitic behaviour extremely seriously and ensuring that these are investigated and acted upon. He added the vote had mistakenly been made open to all students and would now be run with only Societies Guild members able to vote. The students proposing the new “J-soc” group had said it would help Jewish students “have their voice on the campus community”, celebrate Jewish festivals and “create a place to socialise, learn from each other in a peaceful and inclusive atmosphere”.